As a true high-end graphics card for gamers the AMD Radeon RX Vega comes kitted out with a multitude of features and is designed for gaming in 4K as well as immersive VR to give gaming a whole new feel. 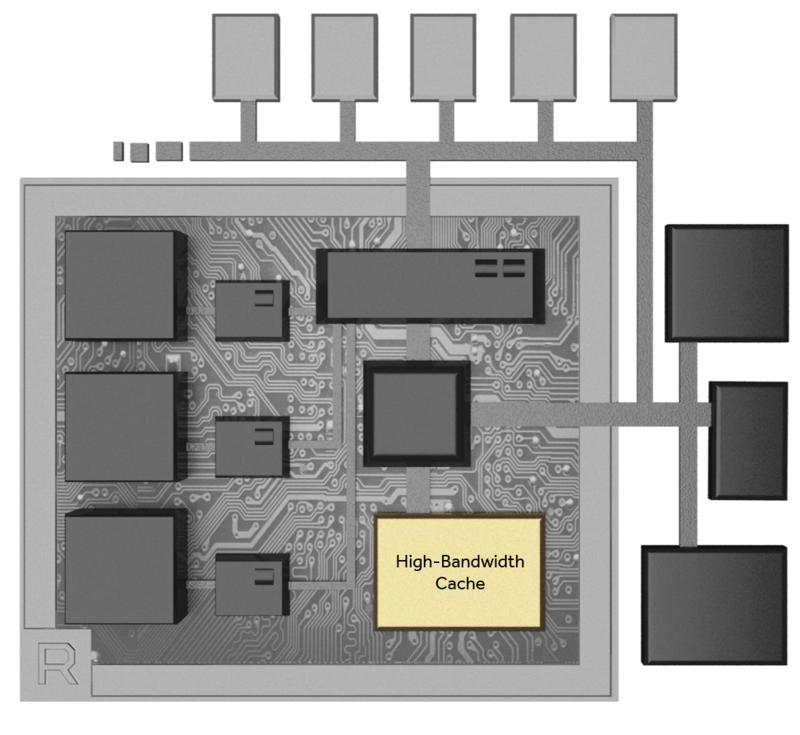 Originally introduced on the Radeon R9 Fury X, the Texas chip manufacturer utilises 8 GB of revolutionary 2nd generation High Bandwidth Memory (HBM). This card will be of particular interest to PC gamers looking to pair it with a FreeSync monitor for an incredibly smooth and tear-free gaming experience! 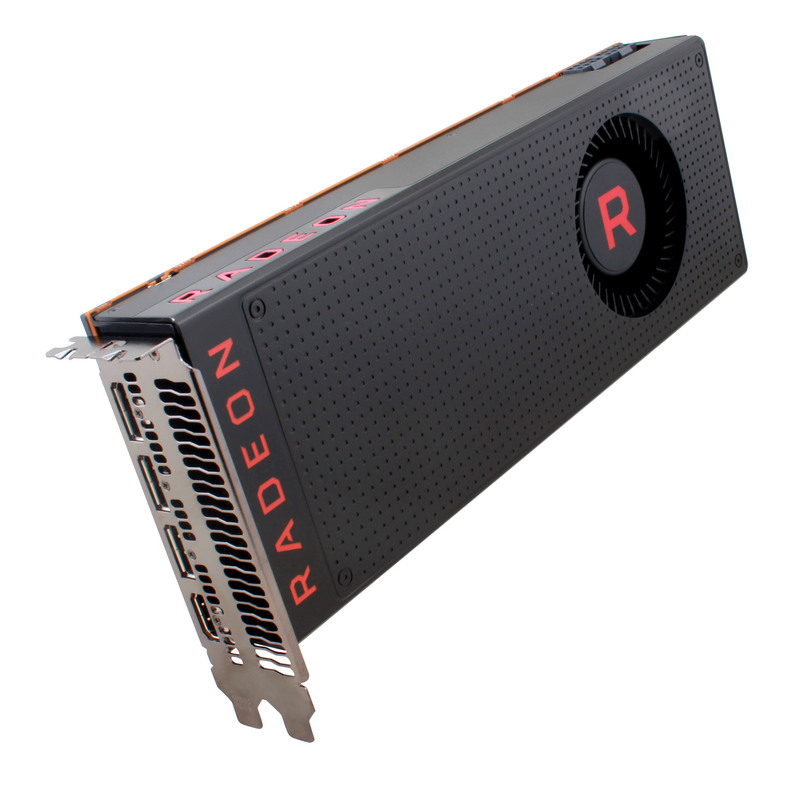 The PowerColor Radeon RX Vega 56 offered here provides 8 GB HBM2 memory clocked at 800 MHz and connected to the GPU via a 2048-bit memory bus interface. One of the unique features of HBM memory is the fact that it is located on the GPU die (that is to say, in the graphics chip) and not, as is normally the case, distributed around the GPU. The GPU itself is clocked at 1.156 MHz and can be clocked up to 1.471 MHz in Boost Mode. The better cooling the GPU receives, the longer it can maintain its boost clocks. The cooling of the PowerColor Radeon RX Vega 56 is provided by a radial-style cooler design. The fan is located in the rear of the card, acting to cool the PCB and then push the air out of the case. The advantage of this style of cooling is that warm air is exhausted directly out of the case. More links for "Radeon RX VEGA 56 8GB HBM2 PCI-Express Graphics Card - Stand Alone"
I have been following vega since its first mention 2 years ago, and when released was very very dissapointed with the performance, and the lack of stock and pricing problems. When i got a vega 56 for £389 and overclocked it soooooo easily (just increasing the power to +50% was enough), and it was beating a 1080 and vega 64 (easily) I was in awe, this card is absolutely amazing, and i have been buying cards for since the 3dfx voodoo graphics card. It may draw a lot of power, but the performance and cost is worth it and theres hbm2 and features that aren't even being used properly on it yet. been a nvidia fanboy all my life, but decided to give one of thease cards ago whist my 1080 ti is replaced, software installation was a brezze as was the hardware side. playing all moden games at 1440p and WOW i'm only 25-30 fps lower than my 1080ti which was a big suprise, i have to take my hat off to amd and say well done, its a cracking lillte card made better at the price. This bundle contains a Sapphire RX VEGA 64, Samsung C34F791 34" 3440x1440 FREESYNC 100Hz Monitor, Prey & Wolfenstein PC Games!